In late 1981, when AIDS was becoming increasingly well-documented in the USA, we set up a study to examine cellular immmunity in symptom-free homosexuals in London. We felt that if AIDS did not develop, it would be of interest to determine why not, since the life-style of this community was kncwn to be similar to that in New York. On the other hand, if the disease were indeed to develop, we had an important opportunity to study the background cellular immunological profile of sexually active gay men before the disease emerged; such a high-risk, low-incidence population was not as readily studied in the USA. It has since been shown that AIDS is an infectious disease caused by the novel retrovirus HTLV-III/LAV. An epidemic of this infection has occurred in the UK following that in the US by some three years. By December 1984 there had been 102 cases in the UK (35 at St Mary’s), compared with 28 at the same time in 1983 and 7 at the end of 1982. Persistent generalised lymphadenopathy (PGL) has also increased over the same period: at the Praed Street Clinic, a large clinic for sexually transmitted diseases, we had seen a total of only 7 cases in 1982, but this had risen to 47 by the end of 1983 and to 150 at the present. 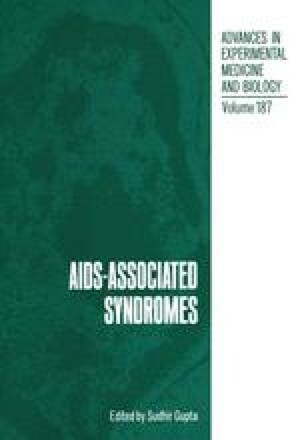 A recent study on the prevalence of antibodies to HTLV-III in the UK (Cheingsong-Popov et al, 1984) has shown that 17% of symptom-free homosexuals were seropositive.